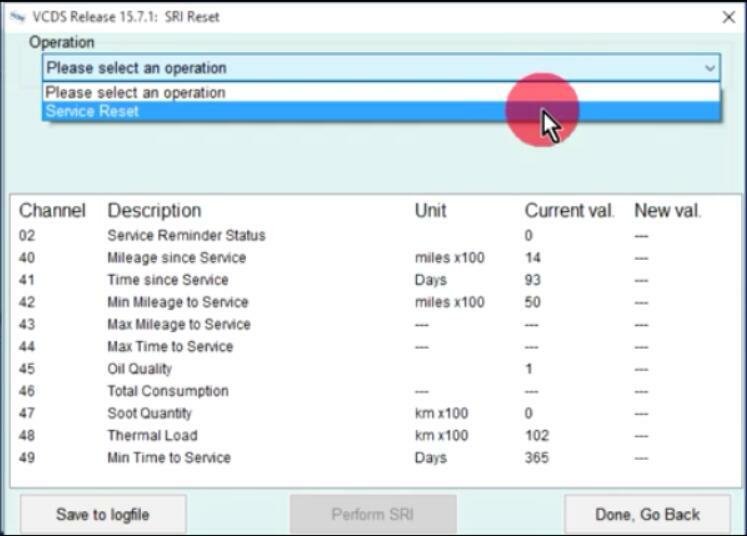 A common feature found on modern vehicles is a service reminder interval or SRI.How this information is displayed can vary but the most common are shown here a small wrench as seen on the left or the “Service now” massage on the right.After the scheduled maintenance has been performed,VCDS can be used to reset the service reminder interval (SRI). 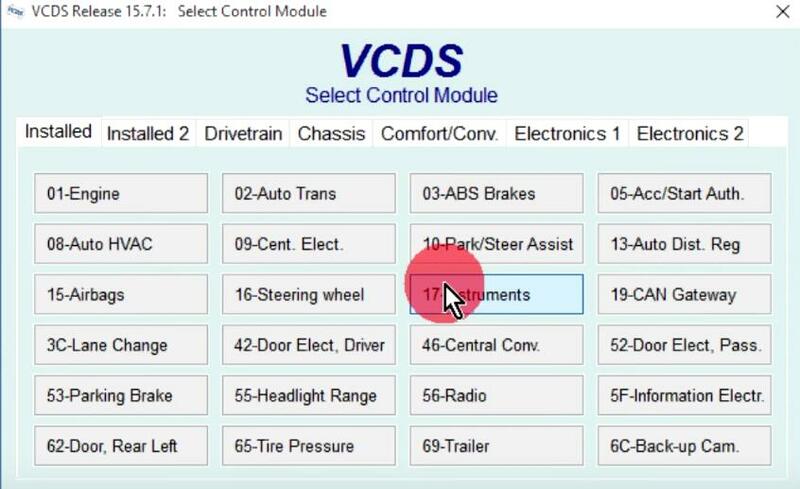 The SRI is a function of the instrument cluster,there are two types of instrument cluster,non UDS and UDS.The different types of instrument clusters use different method to reset SRI. 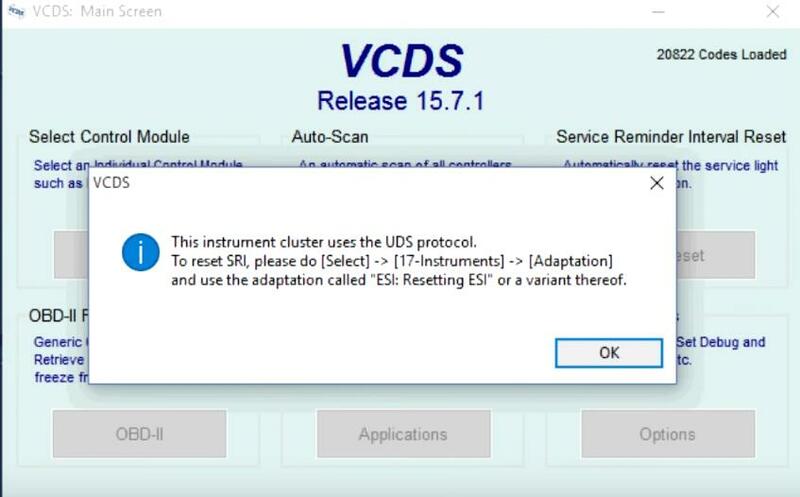 With the non UDS type instrument cluster from the first screen of VCDS,click “SRI Reset” button. 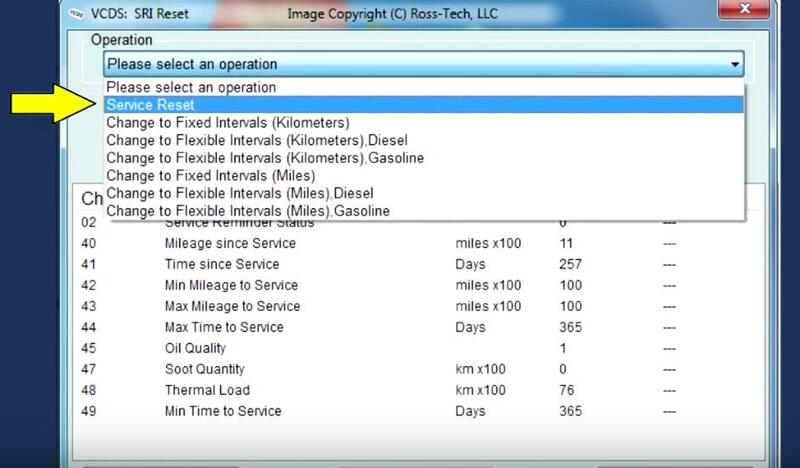 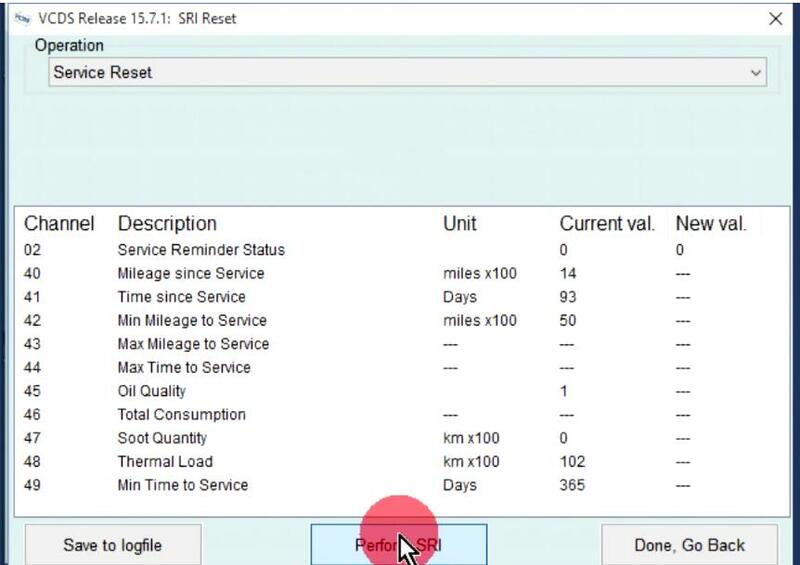 From the drop menu at the top you need to select the function to be performed,”Service Reset” in this example. 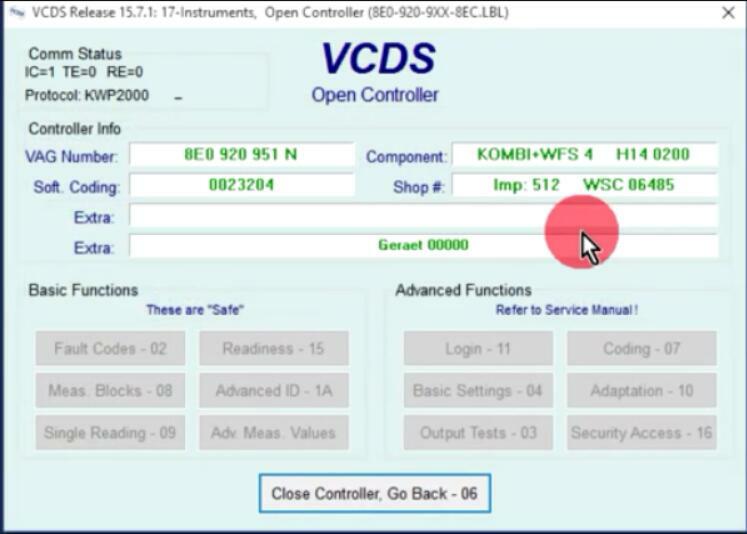 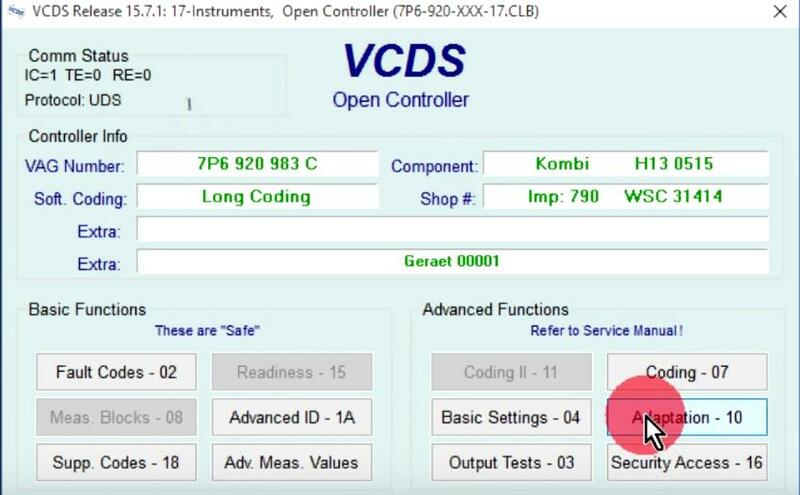 Note that the instrument cluster being used in this example only has one option to pick from,but other instrument cluster in different markets may have several function to choose from.It is up to the end-user to select the correct function for the vehicle they are working with. 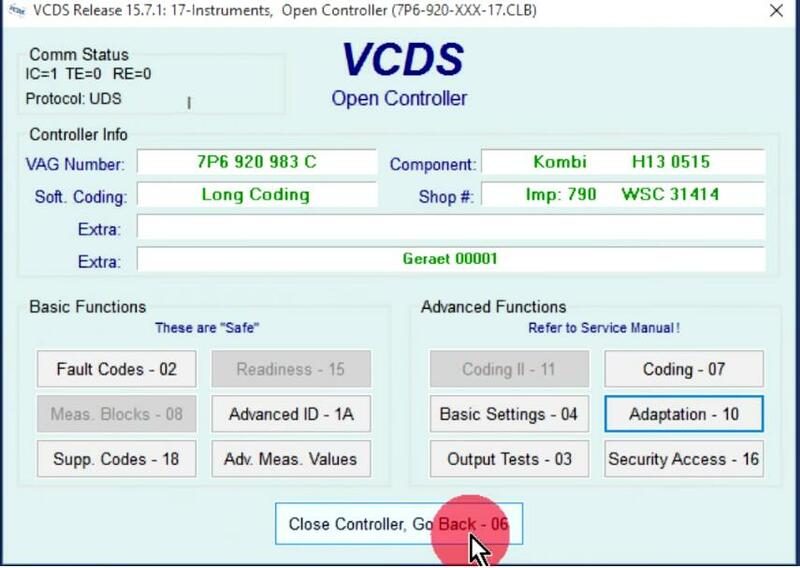 After the correct function has been selected click on the “Perform SRI” button at the bottom of the screen. 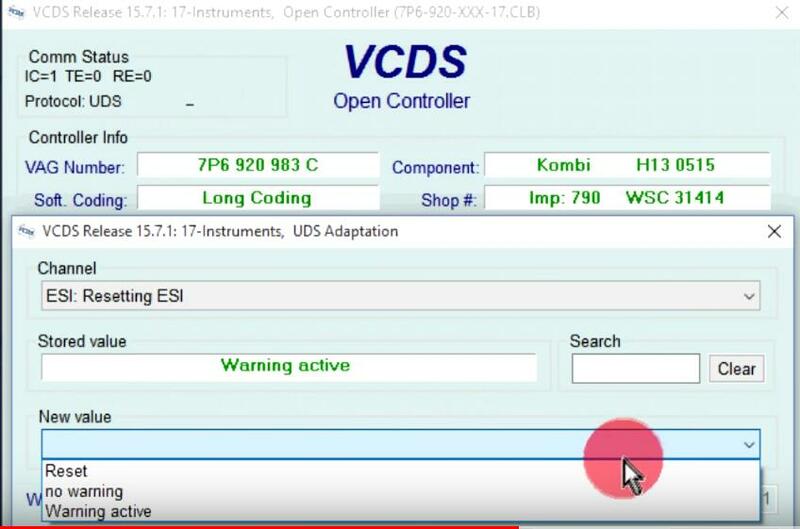 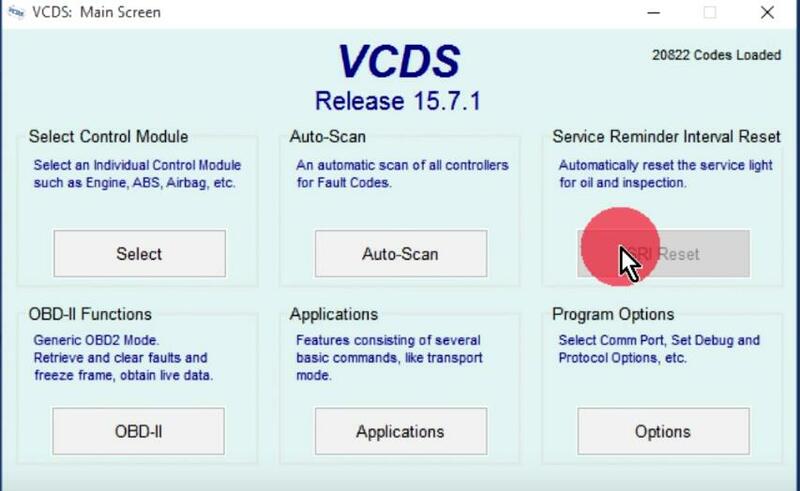 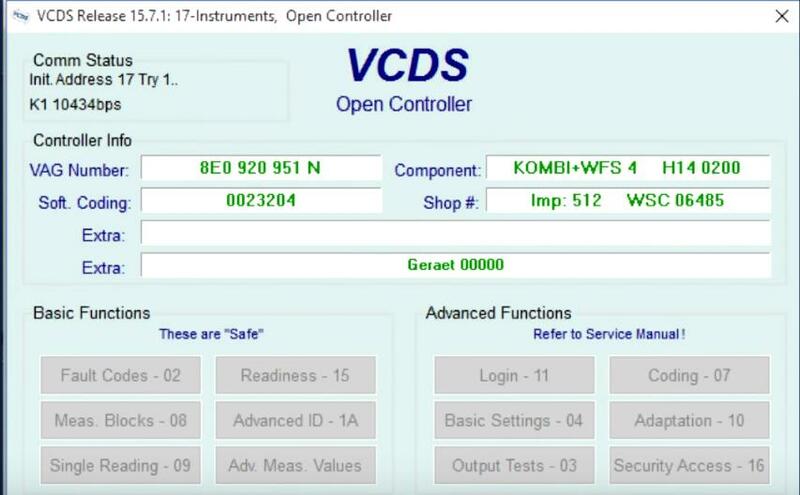 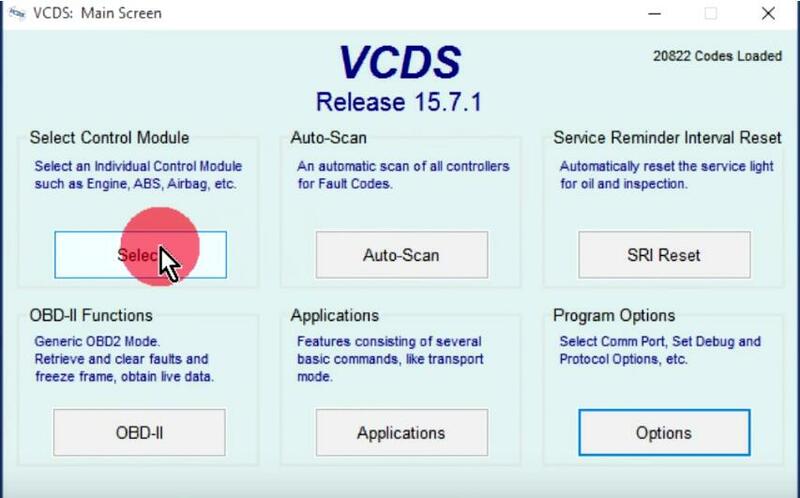 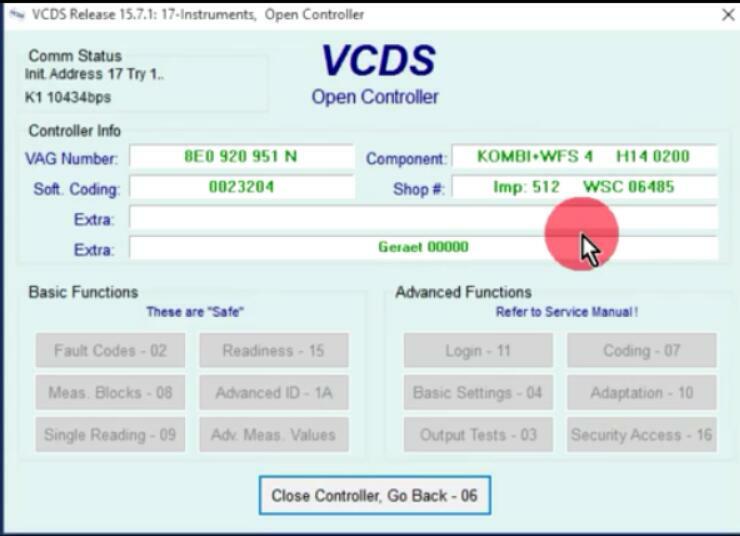 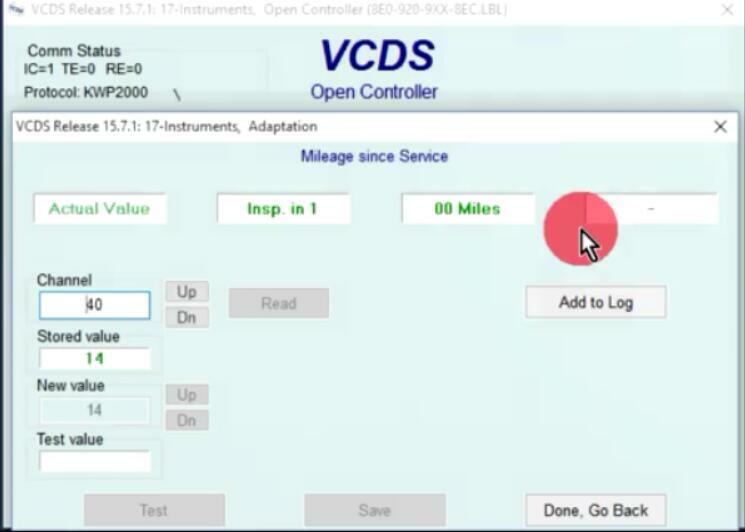 VCDS will go back into the instrument cluster and make changes based on what function was selected and then display the massage the the new values have been saved successfully,SRI reset complete! 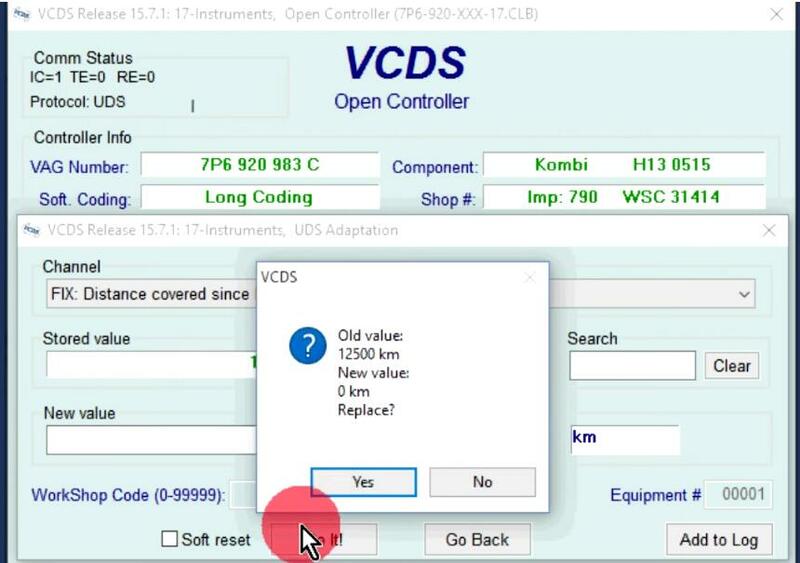 Click “OK” then done go back. 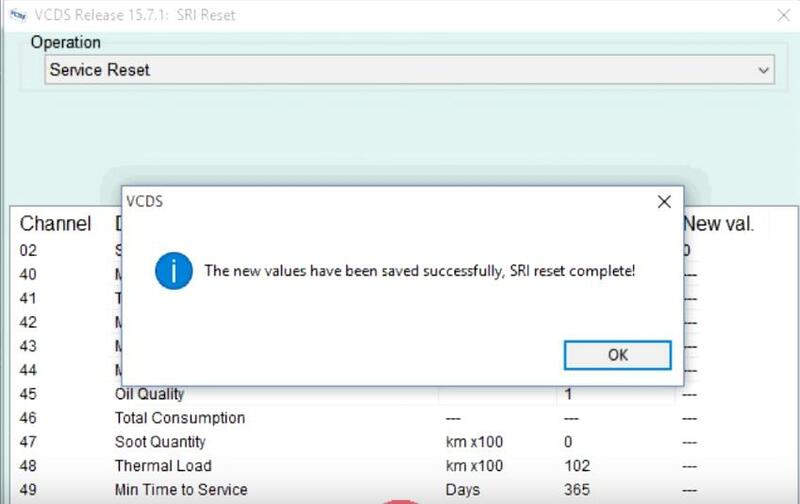 Now cycle the ignition and verify the SRI warning is off. 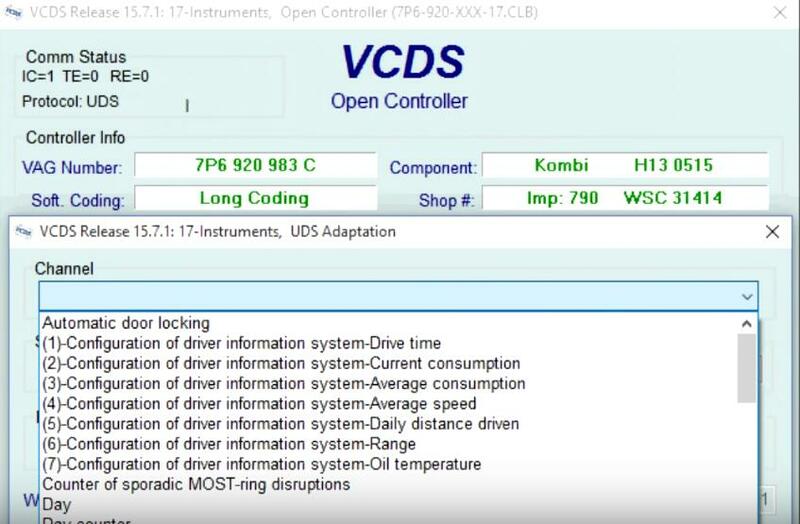 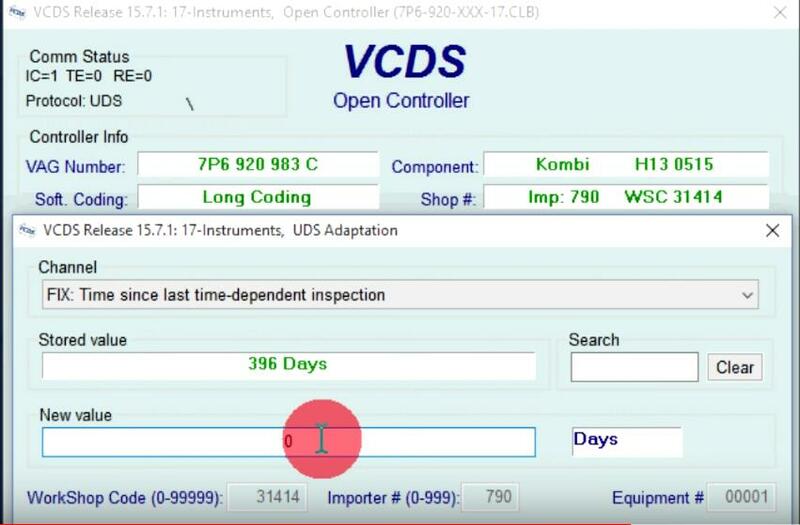 With UDS instrument clusters depending on what year model is,there may be only one step involved or three steps involved on the old UDS instrument cluster. 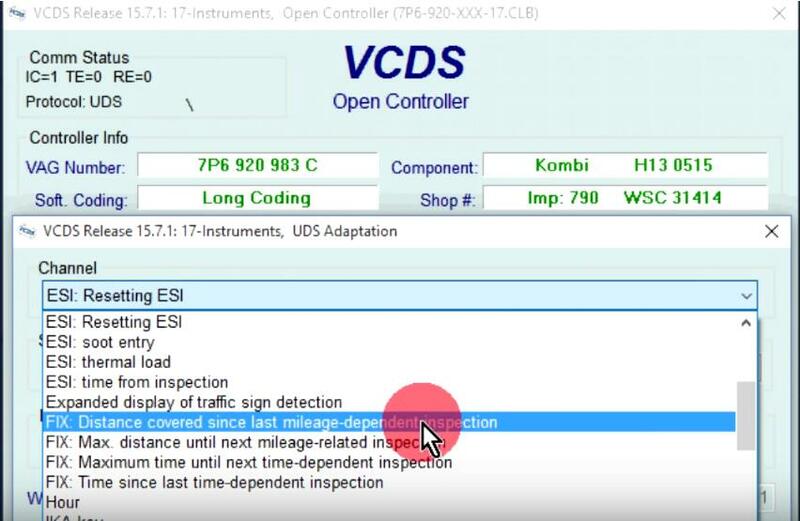 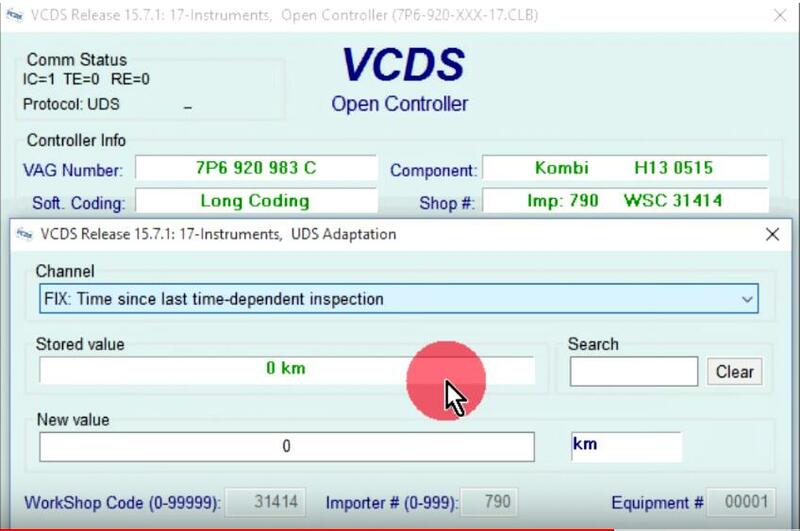 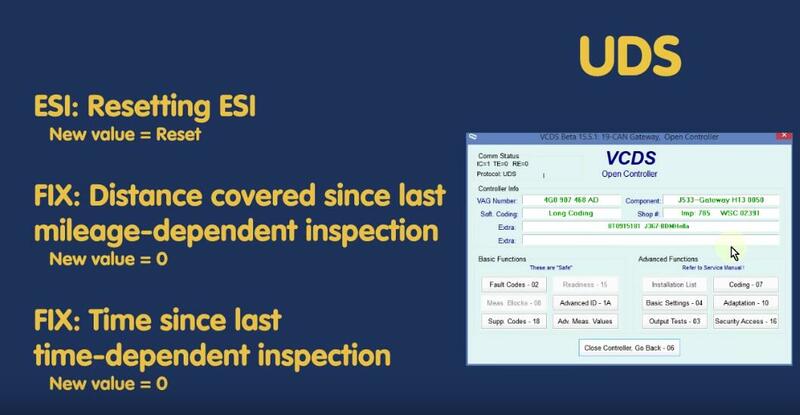 Only the ESI resetting ESI step is need.The fixed distance and fixed time value will not apply to old UDS instrument clusters.In this article a newer generation UDS instrument cluster is being used,so all three steps will be needed to reset the SRI. 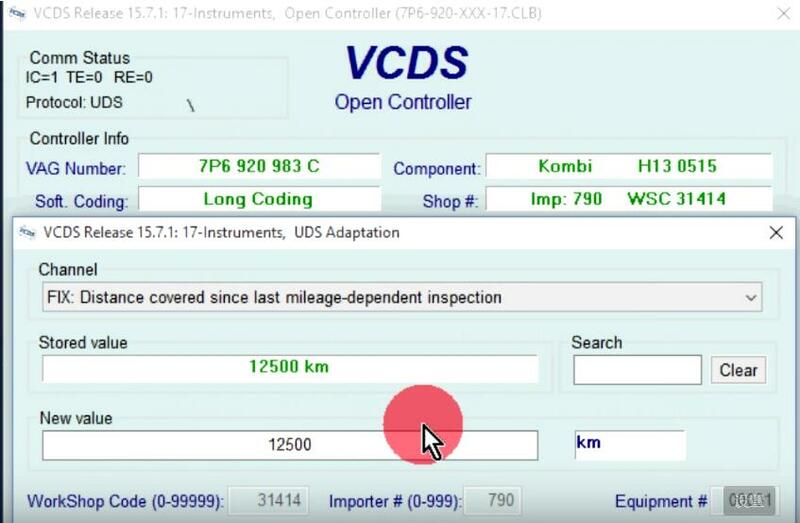 Then select channel “FIX:Distance covered since last mileage-dependent inspection” from the drop down menu.